In very good condition, a WW2 Era British Royal Engineers Officer's Sword marked to retailer R Groves, whose swords were made by Wilkinson. Complete with all weather bag, the high quality etching says it all, a Wilkinson made sword; records confirm Wilkinson made swords for R Groves. This one etched "R Groves, 96 Wellington Street, Woolwich". 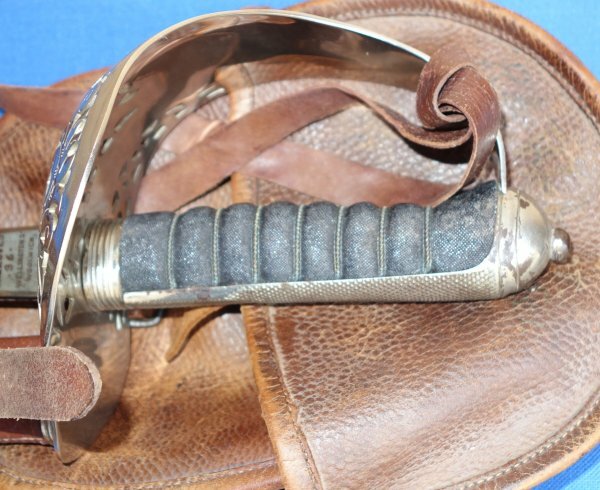 The 32 1/4 inch blade is in very good condition with fairly minimal wear, scuffing and patina, plus firm in the hilt. 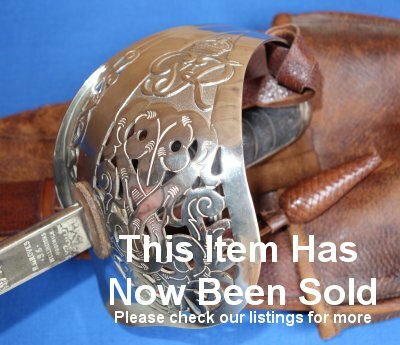 The hilt very good, some small plating bubble loss to one area, more to the back piece and pommel, but overall good. The grip also in good condition. 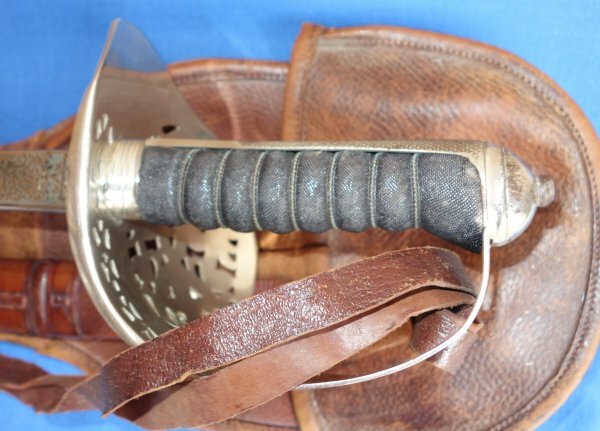 Leather field scabbard in good condition. The sword sheathes and draws well. Complete with leather sword knot and all weather bag. Nice example for just £? (too late, now sold). Please quote item reference AA22 (0017). Further / full sized images available upon request.